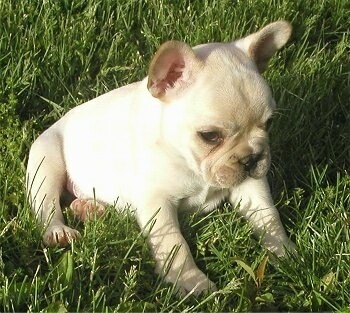 Harley the cream French Bulldog puppy at 13 weeks old on a towel with his toy. Daddy and Harley the French Bulldog doing what they do best, sleeping! 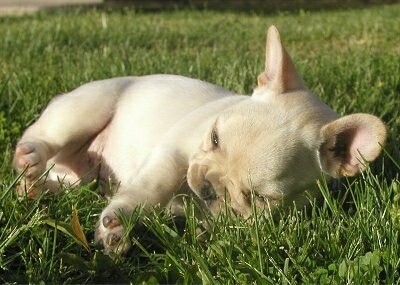 Harley the French Bulldog puppy at 6 months old taking a nap with his toy. Harley the French Bulldog at 7 months old laying in this bed with his toy. Harley the French Bulldog at 8 months old standing at the door asking to go outside.